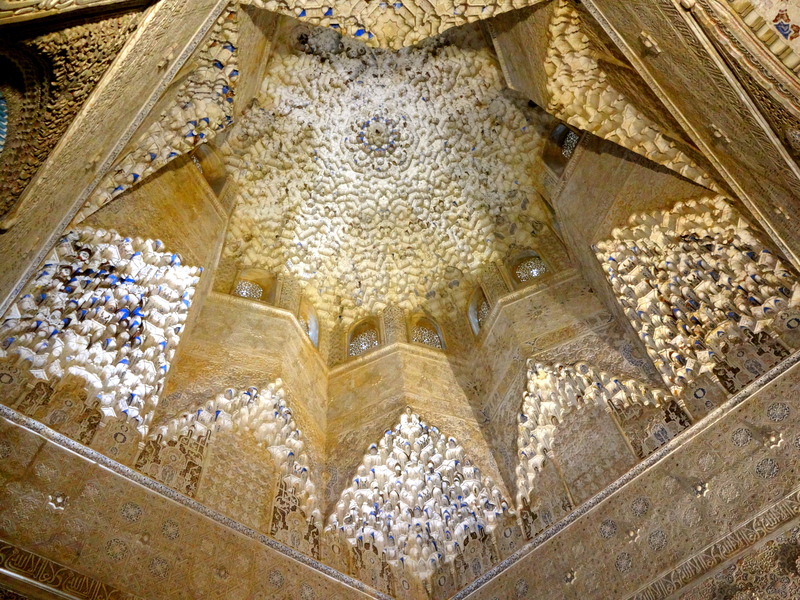 Tip #1: Book your tickets to the Alhambra as soon as possible; it gets booked up well in advance. 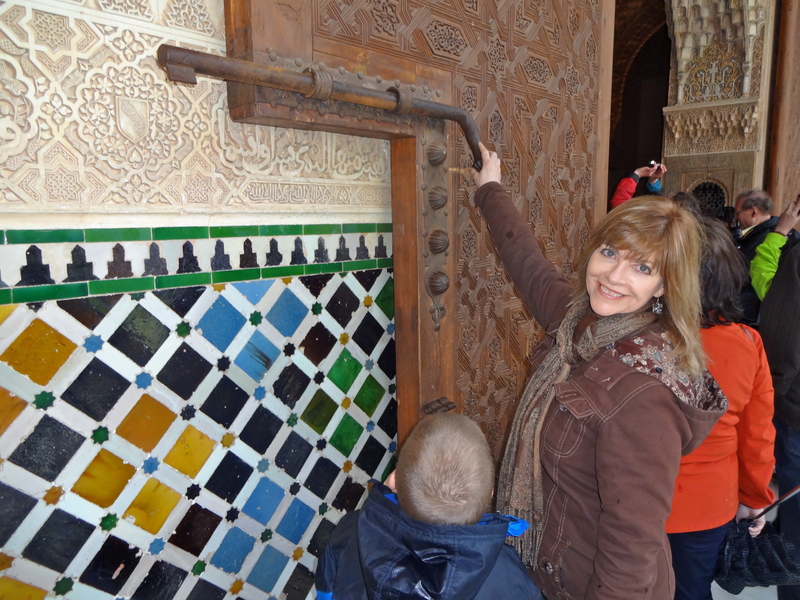 You will be given a morning or afternoon or evening time, with a specific time to enter the Nasrid Palace. 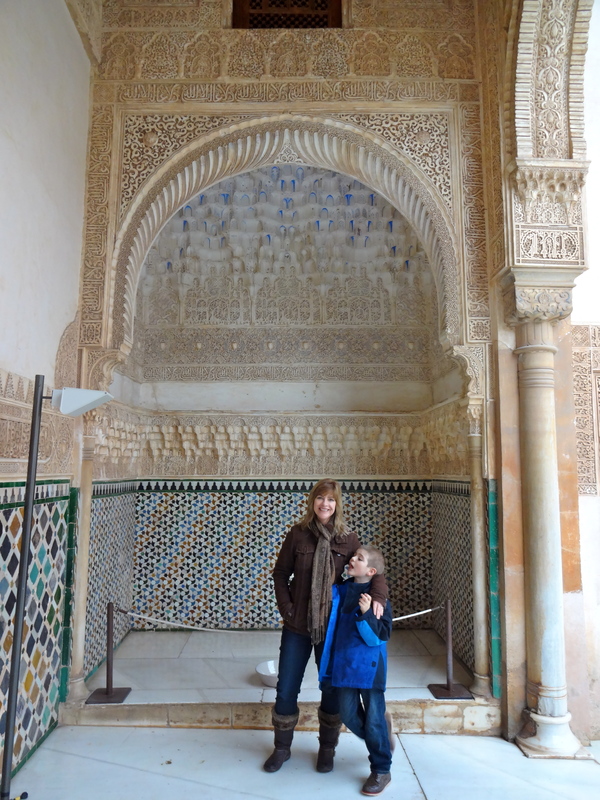 Tip #2: Try to see all of the rest of the Alhambra complex before your time to enter the Nasrid Palace. 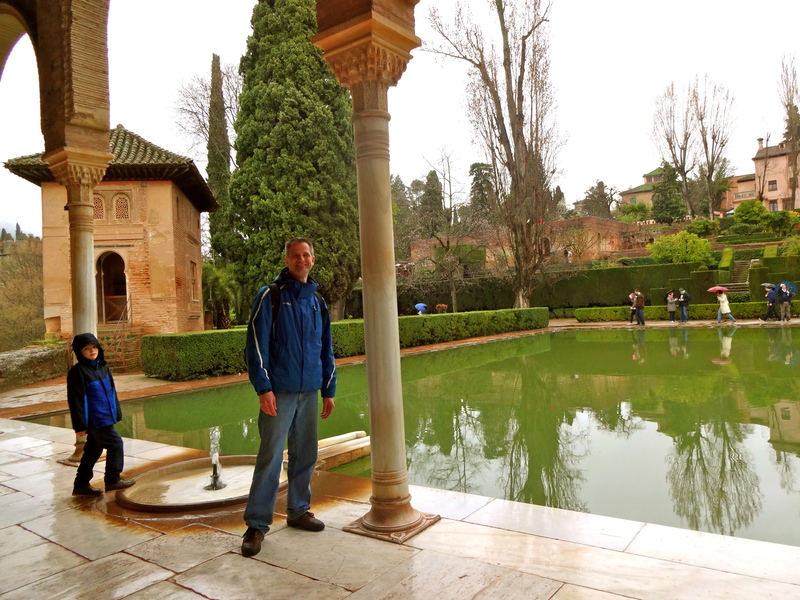 You enter here and can stroll through the Alhambra complex until it’s your time to enter the Nasrid Palace. 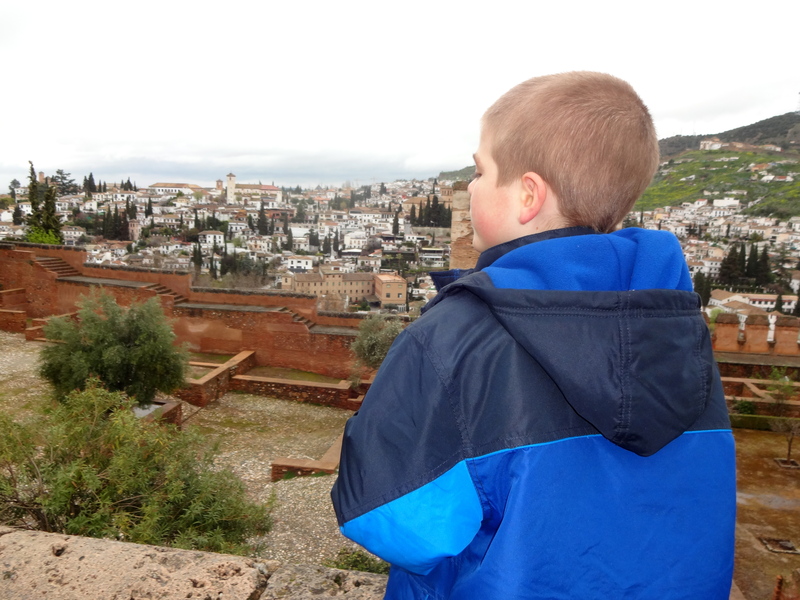 Looking out over the Albayzin, the Moorish Quarter. 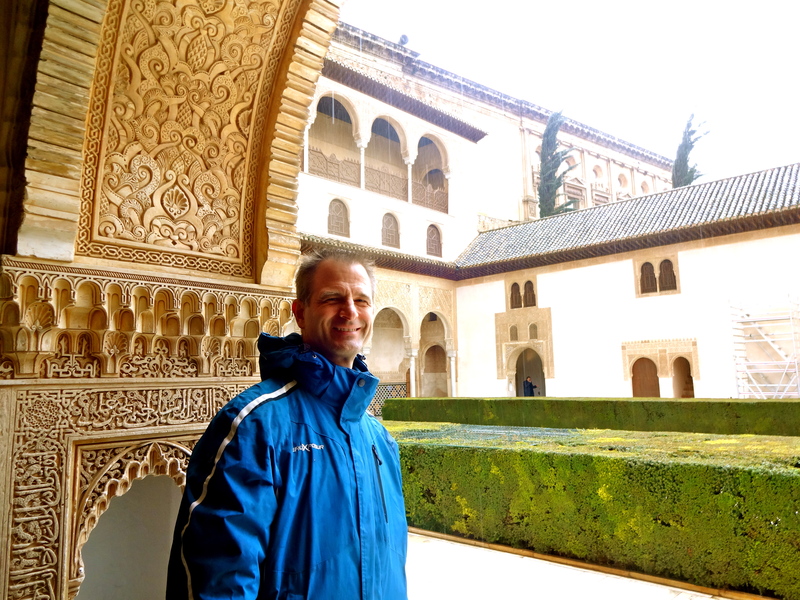 Granada is located at the foot of the Sierra Nevada mountains by the Darro and Genil rivers. 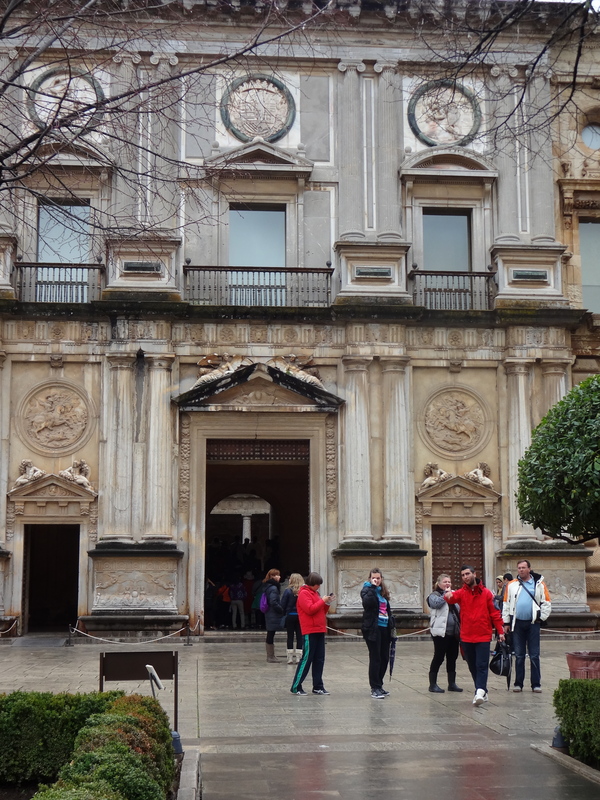 This is the palace of Charles V, Holy Roman Emperor, grandson of Isabella and Ferdinand. 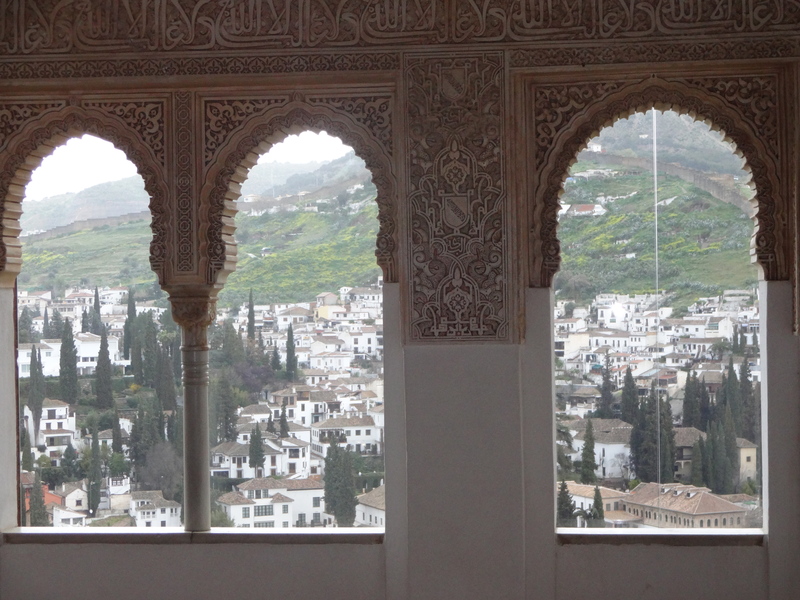 This was the view from the Nasrid palace for the sultans of Granada, and later for Queen Isabella and King Ferdinand, and their descendants. 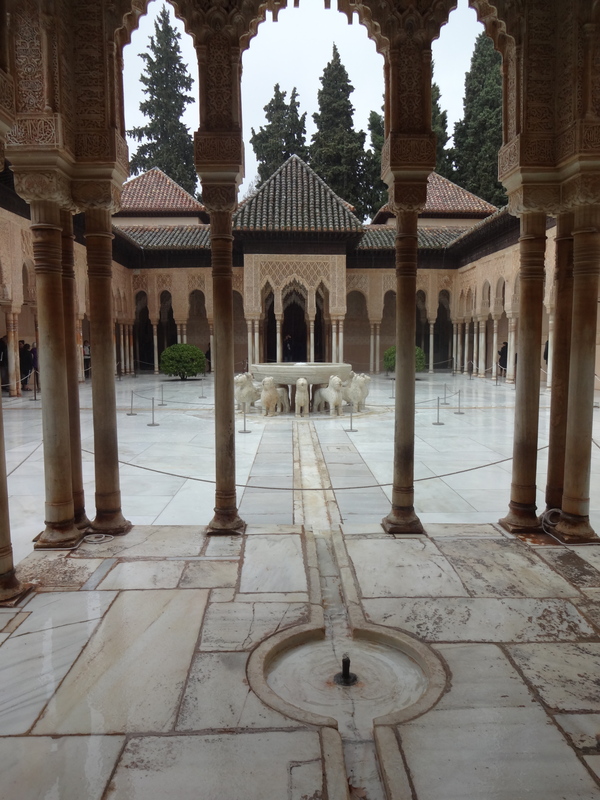 The rooms, courtyards, and gardens inside the Nasrid palace are stunning! The city has been inhabited since the dawn of history; first by Ibero-Celts, then by Greeks, followed by Romans and Visigoths. Moorish forces under Tariq ibn-Ziyad first took the city in 711. 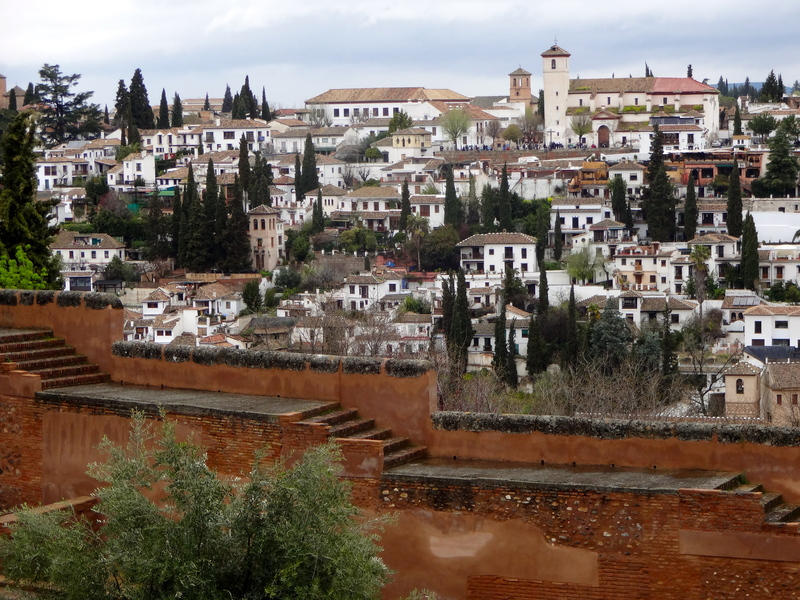 Granada was a Muslim kingdom for almost 800 years. 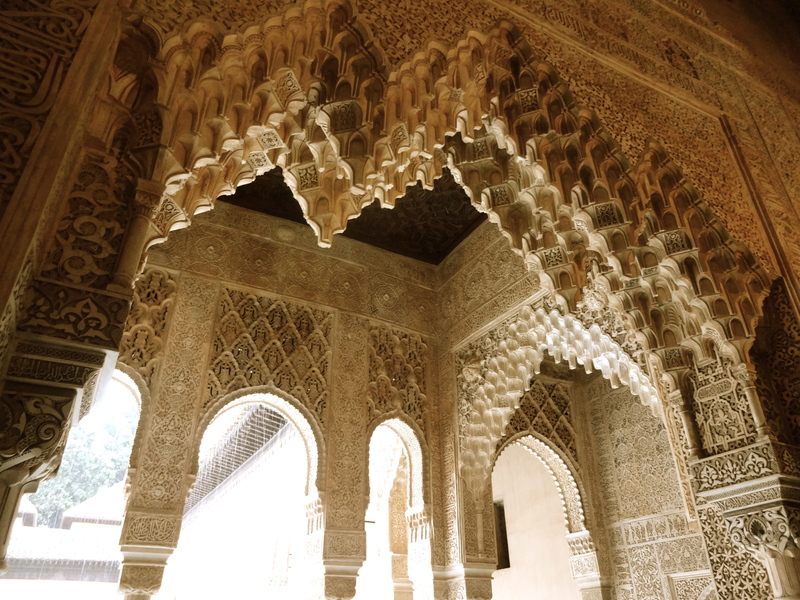 It became the capital of a province of the Caliphate of Cordoba. The ambitious Ibn al-Ahmar established the longest lasting Muslim dynasty in Spain : the Nasrids. The Nasrids aligned themselves with Ferdinand III of Castile in 1238, and became a vassal state of the Christian kingdom of Castile for 250 years. 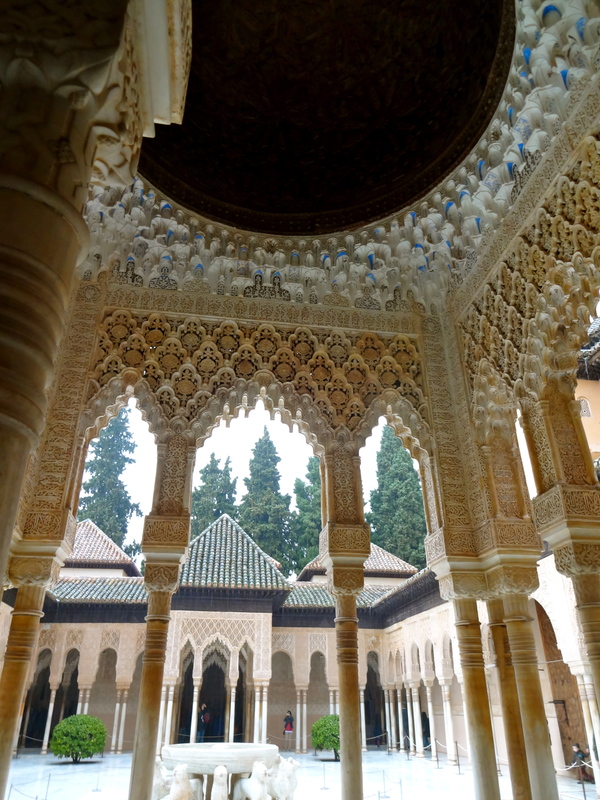 The Nasrid sultans were responsible for building most of the palaces in the Alhambra. In 1492 Boabdil surrendered Granada to Ferdinand and Isabella, Los Reyes Católicos, after a long siege. 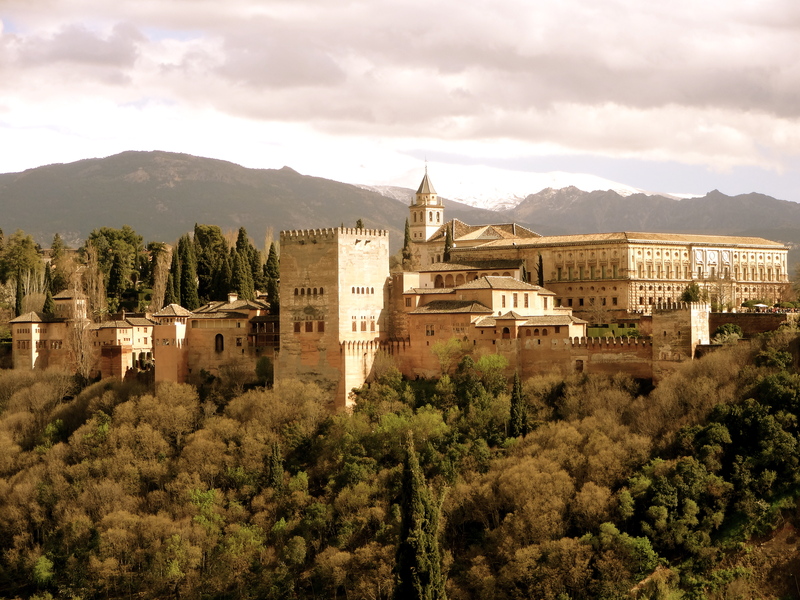 The 1492 Alhambra decree forced the predominantly Muslim population to convert to Roman Catholicism or face death. Note the intricacy of the work behind Andy. Many Muslims fled the inquisition to their ancestral lands in North Africa. 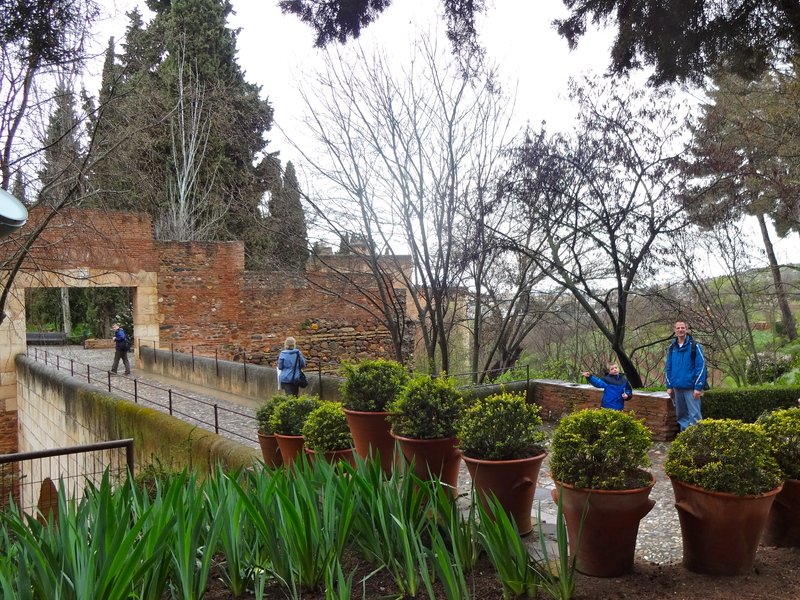 The Jews were also expelled after the Alhambra decree. 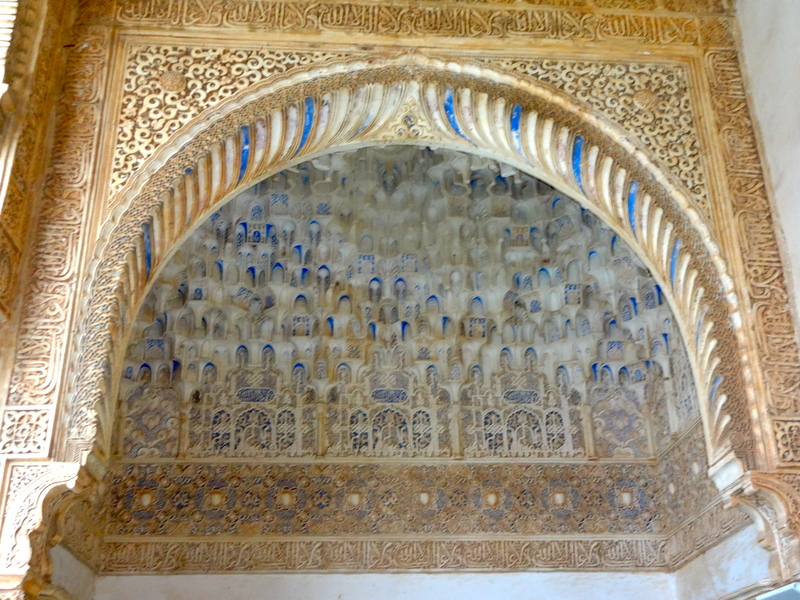 The fall of Granada ended the eight hundred year long Islamic presence in the Iberian Peninsula. Isabella’s prodigy Christopher Columbus ‘discovered’ the Americas, leading to the Spanish Empire, one of the largest world empires for hundreds of years to come. I read an excellent book, The Queen’s Vow , by C. Gortner. It was a historical novel about Queen Isabella and King Ferdinand. 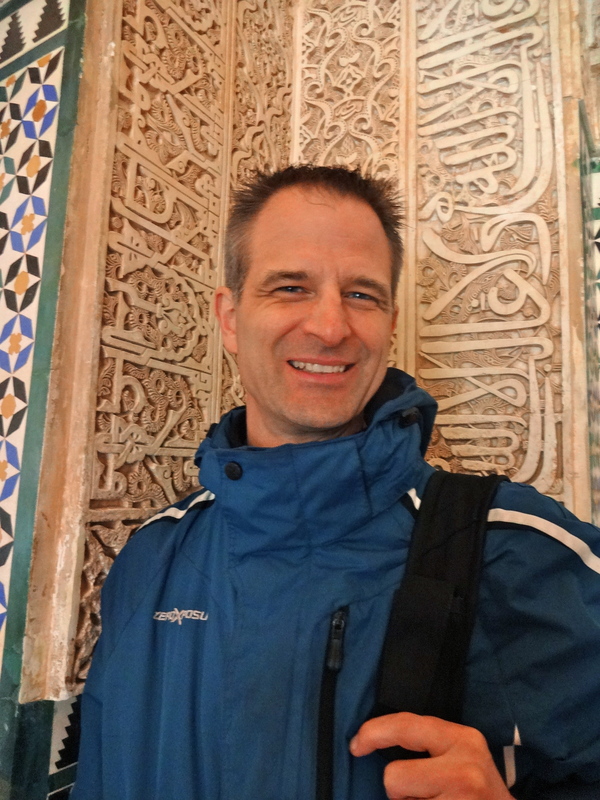 It made the Alhambra, Granada, and Seville come alive for me. Gortner’s second book, The The Last Queen: A Novel , was about Isabella and Ferdinand’s daughter, known as Juana the Mad, was also excellent. Did you know that Isabella and Ferdinand’s youngest daughter, know to history as Katherine of Aragorn, was the first wife of Henry VII? 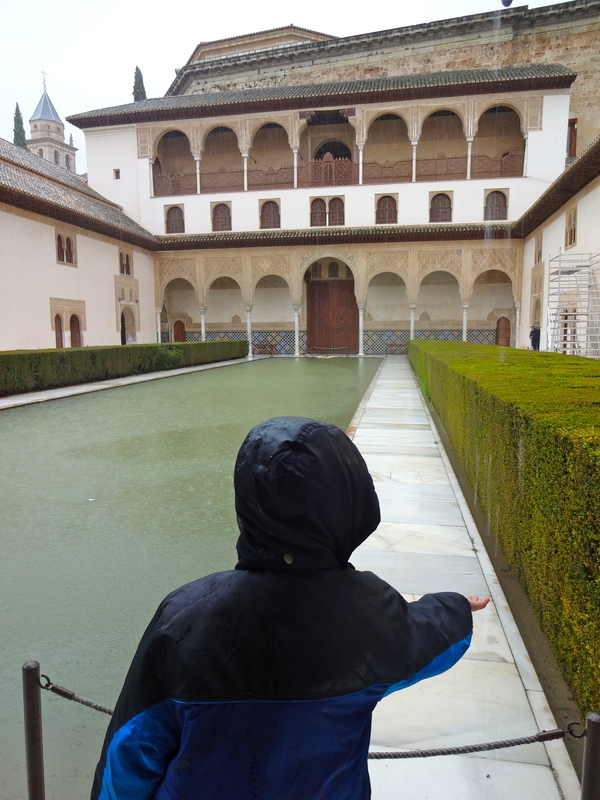 Phillipa Gregory’s The Constant Princess is a great book about Katherine’s(born Catalina) life, including her early years spent in the Alhambra, after the conquest. We also got the Kindle Edition of Rick Steve’s Spain 2013 and really liked it. I usually prefer Lonely Planet guide books, but I had read bad reviews about how their ebook functions. 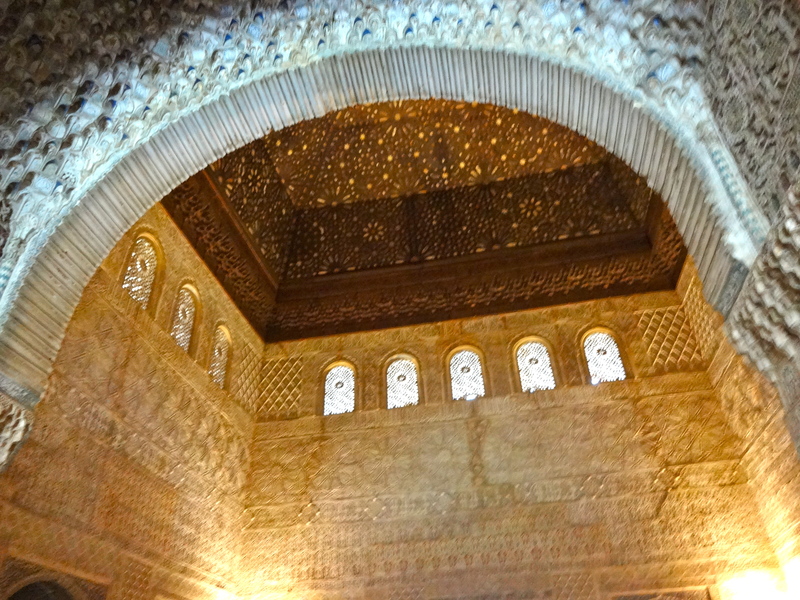 So, that’s the Alhambra! What do you think of it?